Nestled in the midst of North Parramatta is Parramatta Lake Reserve, a 73 hectare lake reserve surrounded by bushland in Western Sydney. The blue-green water of the lake is home to a variety of ducks and waterbirds, and makes a completely idyllic backdrop for a picnic, paddle or bushwalk. The bushland is also home to many species of birds, flowers, reptiles and frogs. The reserve is accessible by bus or car. If you decide to drive to the reserve, parking is available in the lot near the entrance. If visiting in the afternoon, it is advisable to keep an eye on the time as the gates close at 5:30pm on weekdays and later during daylight saving. 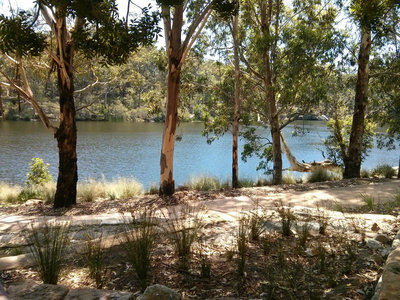 Parramatta Lake Reserve has three popular bushwalk tracks. The most popular is the Lake Circuit track. This is 4200m and usually takes around 1 hour and 45 minutes to complete. Keep an eye out for the signposts at cross roads to ensure that you are continuing along the right track. I personally love this track and have walked it countless times.Two shorter walking tracks are the Banksia Track (2450m), as well as the She-Oak Track (1550m). If you decide to bring your dog/s along with you, be sure to keep them on a lead at all times. My dog absolutely loves visiting this park. As you walk along the Lake Circuit track, the view of the lake is breathtaking. If are looking for a short stroll rather than a bushwalk, wander along the yellow paved path before the lake. This path is wide and strollers can easily be pushed along here. As you continue, you will see an abundance of tables as well as several sites to set down a picnic blanket. Follow the paved, yellow path before the lake for a short relaxing stroll. Other facilities can be found up the hill from the lake. Bathrooms; a children’s playground; barbeque facilities, and even more picnic shelters are situated here. There is also the lake café to visit if you are hungry after a bushwalk or stroll. If you do not get a picnic bench, there are still plenty of beautiful spots to sit and enjoy the view of the lake. Parramatta Lake Reserve was once the venue for Australia’s largest life saving club in the 1900s. Unfortunately, today the water is not clean enough for swimming, but it is perfect for a paddle in a canoe or other non-powered boat. A few boat ramps can be found along the yellow path. 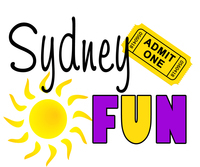 Where: 28 Bourke Street, North Parramatta, NSW 2151. Why: For a BBQ, picnic, bushwalking, canoeing, observing native wildlife or simply resting by the lake. The reserve is open all year round, with the main gate opening at 6:30am and closed at 5:30pm (7:30pm during daylight savings). It offers ample parking, picnicking and BBQ facilities, playgrounds and bushwalking tracks. Good for kids: Definitely. I have often seen children walking the track as it is an easy level bushwalk (albeit a long one). There are also playground facilities at this reserve. Best place to get travel information in Sydney?